Best Cookies in Boston - National Cookie Day 2015! 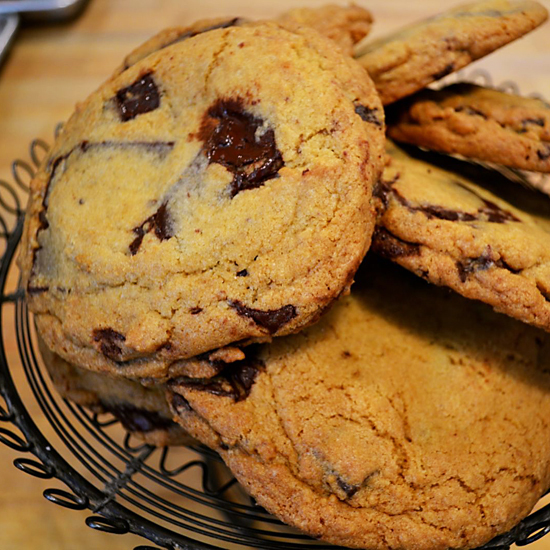 Best Cookies in Boston - National Cookie Day 2015! 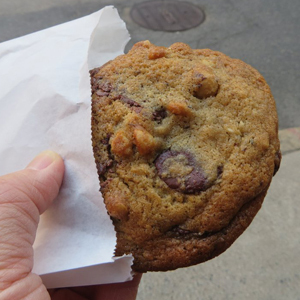 It’s National Cookie Day 2015 so why not offer up a list of places in Boston where you can get a top rated cookie to start your weekend off right! 215 Charles Street, steps from the Charles/MGH T stop on the Red Line. Warm chocolate chip cookies and ice cold milk for $12 seems expensive, but they’re rated as some of the best cookies in Boston by Zagat. Cookies made fresh and served up out of a food truck. The truck changes locations throughout the week, but on #NationalCookieDay this Friday, December 4th, there will be 2 trucks, one on each side of the Rose Kennedy Greenway. One truck will be in Dewey Square just steps from the South Station T stop. The other truck will be by the Greenway Carousel by the Aquarium T stop, Christopher Columbus Waterfront Park, and Faneuil Hall Marketplace. 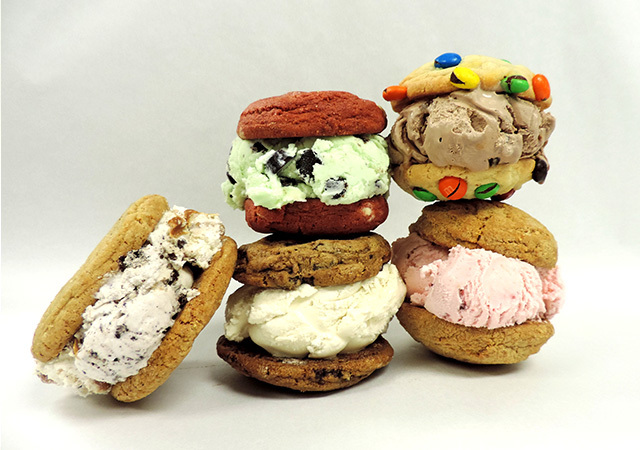 Not only can you get fresh baked cookies, but you can also get ice cream sandwiches. Just pair your favorite cookie with frozen yogurt, sherbert, sorbet, or Richardson’s Ice Cream. They even have gluten free chocolate chip cookies. The Chocolate Chunk cookie with vanilla ice cream is the classic choice. If you try their cookies and love them and need a random gift for somebody in the near future, you can buy a dozen online for $20 and have them shipped. Located in the South End at 59 East Springfield Street by the corner of Harrison Ave just a block North of Massachusetts Avenue and across from Boston Medical Center. 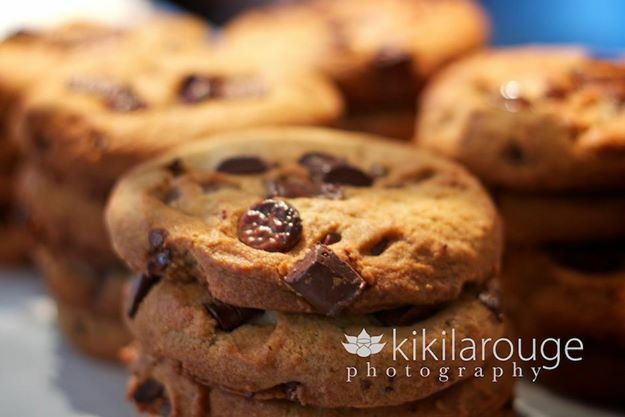 (Click for Google Map) They close at 3:00 pm so get there soon to try these chewy chocolate chip cookies. 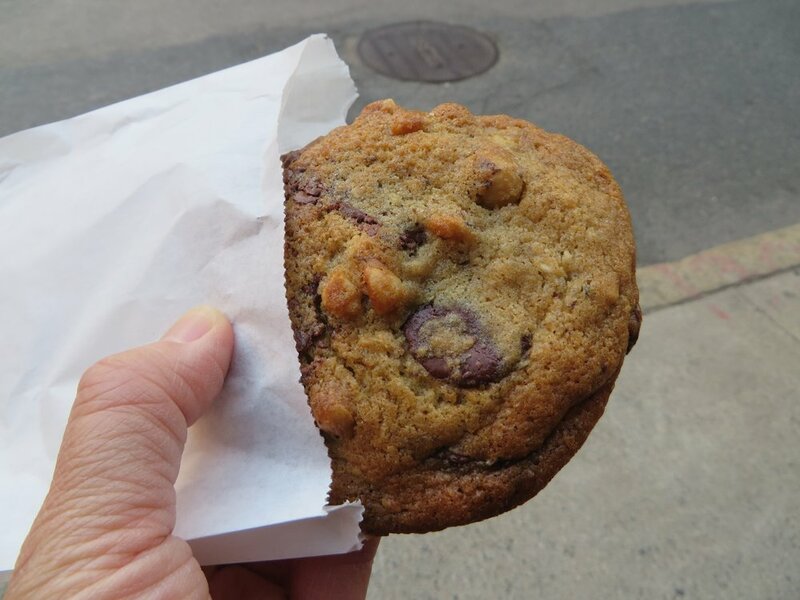 A former Food & Wine pick for America’s Best Chocolate Chip Cookies, the bakery is located in Brookline at 178 Thorndike Street a block from Commonwealth Avenue and a 5 minute walk from the Packards Corner T stop on the B Green Line going towards Boston College. (Click for Google Map) These cookies are big, thick and chewy with dark chocolate chunks packed in to the cookie. They’re open until 8:00 pm tonight, or 9am to 7pm on Saturdays and Sundays. The bakery is open M-F 7:30 am to 6:30 pm and 8:00 am to 5:00 pm on weekends. It’s located at 3346 Washington Street in Jamaica Plain a 5 minute walk from the Green Street T stop on the Orange Line. (Click here for Google Map) Need a plan for Friday night? Do the free tour of Samuel Adams brewery just a 10 minute walk away, the last tour starts at 5:30 pm and they last 45-60 minutes so you might need to do a slightly earlier one. Then get to Canto 6 Bakery for a chocolate chip cookie just before they close as an appetizer slash beer chaser. Then head 5 minutes down Washington St. to Doyle’s Cafe (3484 Washington St) to collect your free Sam Adams pint glass and have a meal at one of Boston’s best pubs since 1882. It’s located in the South End at 1595 Washington St (at Rutland St) (Click for Google Map) by Blackstone Square and Franklin Square a 15 minute walk from the Massachusetts Ave T stop on the Orange Line. It’s open until 9:00 pm M-F and you can buy an individual cookie for $1.95. The cafe as a whole gets 4 and half stars on Yelp and customers rave about the cookies. In business since 1976, The Chipyard is located downtown in Faneuil Hall at 257 Faneuil Hall Marketplace (Click here for Google Map). They have 7 varieties of chocolate chip cookies and you can even order online and have them shipped fresh to your doorstep. They get 4 stars on Yelp and you can get a dozen bite size cookies for only $6… that’s Wicked Cheap!! They’re in South Boston at 371 W. Broadway, a half mile walk from the Broadway T stop on the Red Line in Southie. (Click for Google Map) They’re open until 6:00pm on Friday so if you don’t get there tonight try them on Saturday from 9:00 am to 3:00 pm. Their cookies are $1.95 each and they also sell a wide variety of other desserts and baked goods. The bakery gets 4 and half stars on Yelp and according to the reviews, they’re huge! If you decide to get dinner in the area, if you have any room left in your stomach, I recommend the Shepards Pie, Steak Tips, or Nachos with Chili at Shenannigans. Or try the Lincoln Burger with truffle fries or the Margherita pizza at Lincoln Tavern & Restaurant. Both restaurants are within a block of Sweet Tooth. It describes itself as an upscale Asian Gastropub and it’s located in Fort Point at 324 A Street (click for Google Map). Hold on, an Asian restaurant is on the list of best cookies in Boston? Well this isn’t your typical Asian restaurant. It’s owned by notable chef Ming Tsai and they’re putting an Asian twist on many pub favorites with a tapas-style menu. Craft beers and signature cocktails too. Ok, so what about the cookies? Well, there is one cookie on the menu. In fact, it is the only dessert on the menu and it’s simply called ‘The Cookie’. 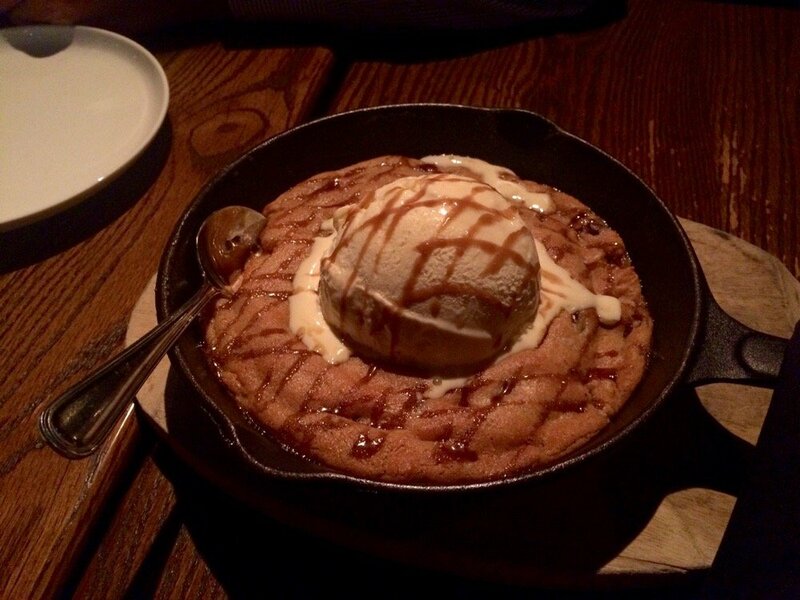 It’s described as a deep dish chocolate chip cookie served warm in a skillet and topped with ice cream and soy caramel sauce. It costs $14 so I wouldn’t exactly call it cheap, but it looks big enough to share between a few people and the reviews make it sound incredible. Photo from Yelp.com taken by Christina Y.
Alright, that concludes the list for now. 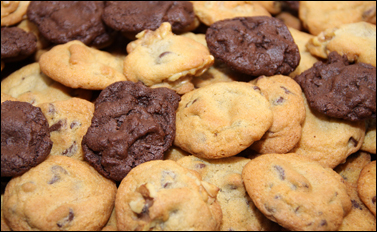 Go out there and indulge tonight because after all you do have a great excuse… it’s National Cookie Day 2015!! To all the cookie bakers in Boston that didn’t make it on to this list, my sincere apologies. If you believe you deserve to be added and your reviews back you up, please contact me and I’ll add you to this post. Or if your reviews are less than stellar, invite me to come try your cookies and I’ll write up a review if I find them to be delicious. Thanks for reading! Comments, shares, and tweets are very much appreciated! Brian Donohue is the owner and editor of Wicked Cheap Boston. Free Ipswich Ale Block Party on Sunday, June 5th!